I have had a Spirit Led week, I hope you did also. We have rain today. Welcome lovely, forest fire retardant, rain. I saw blue sky yesterday between moisture systems. I don't remember the last time our sky was that blue since summer began. We have had fires to the west and to the northwest. A horrible summer with 1,000,000+ acres in Montana burned. The smoke has to go somewhere. Hurricanes, earthquakes, fire--it makes me wonder what comes next on our planet. Morning, I pray you have all had a Spirit Led week. I know I did. Today my husband has a follow up appt, with his general practitioner. He gets to explain why he REFUSED to have a test done. I sort of agree, but early detection is the key to all possible cancers. I knew i could not talk him into it. I have been married to him for 40 yrs. I know when I can push and when to let it go. First, I hope all had a Spirit Led week last week. I know it was a hard one. 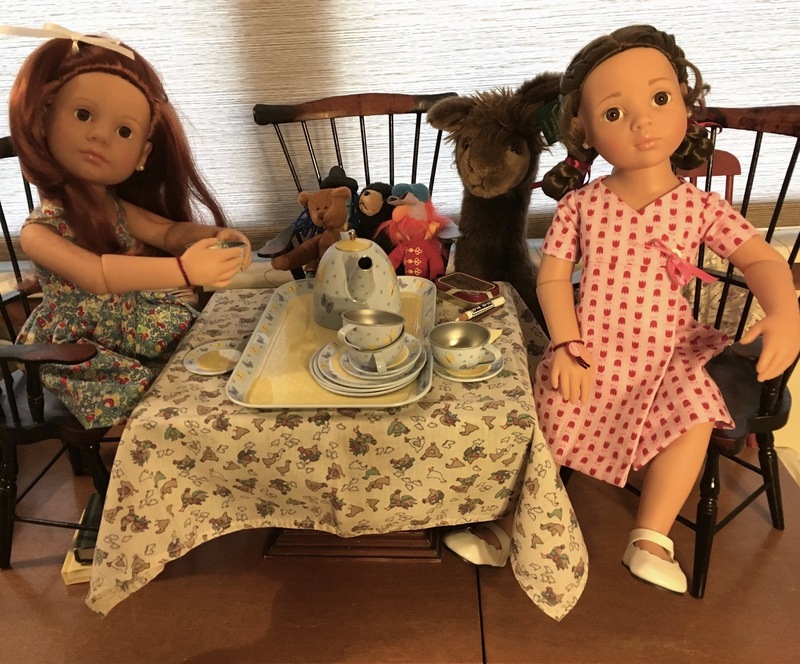 You may remember that someone from Therapy Animals of Utah saw the clothes for the Habitat dolls on Facebook and asked me to dress a doll for their silent auction, too. A crown perhaps upon my head, but a needle in my hand. From childhood to my dying day, fine sewing’s been my line. I’ll be content if asked to mend the little angels’ britches.